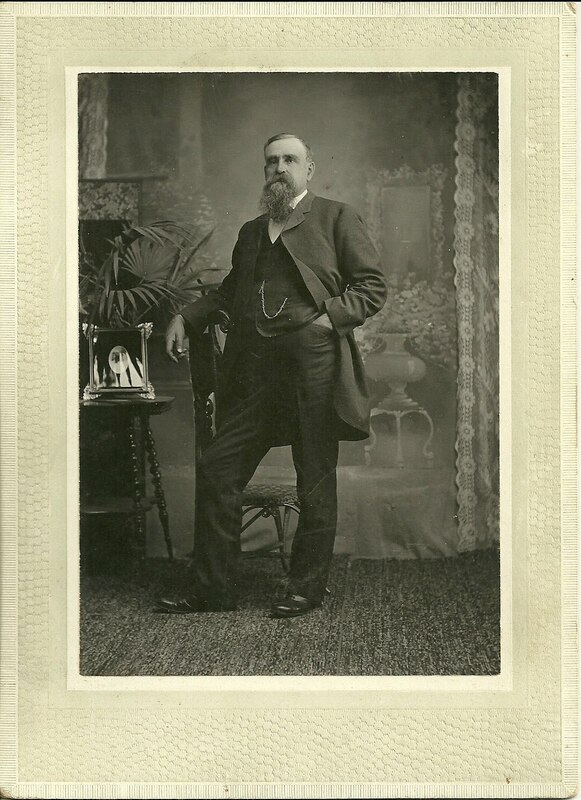 Three old photographs that were found with photographs of the Pendleton family of Charlotte County, New Brunswick, Canada, which contains a Pendleton's Island. If these men are Pendletons from that line, they go back to Gideon Pendleton, a Loyalist from Long Island, New York and/or Stephen Pendleton, who may have been Gideon's brother or perhaps his son. 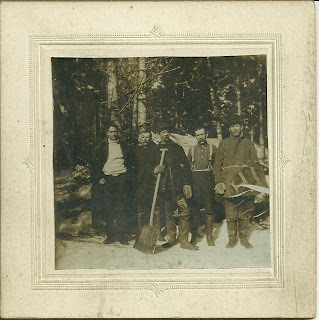 The first, above, is a fabulous photograph of 5 men taken during the winter. It must have been a rather mild day as one man has his coat unbuttoned and another isn't wearing a coat. One man has his shovel at the ready. There's something in front of the man at right, but I can't quite make it out. They're standing on either a light snow cover or packed snow. The next photograph shows a middle-aged man in his Sunday go-to-meeting attire. 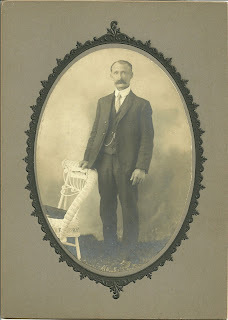 The third shows a middle aged man posed among some fancy props. 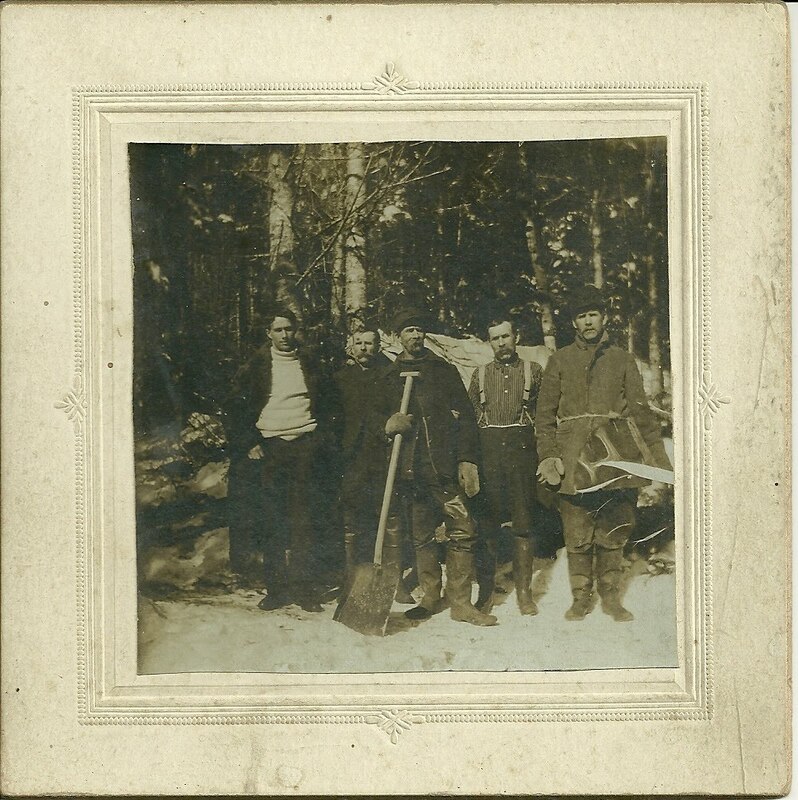 What sets this photograph apart is that, on reverse, not shown, is a photographer's stamp: "Frazier, Eastport, Maine"
If you recognize any of these gentlemen from leafing through old family albums or if you have any ideas on what that item at right center is, please let me know. 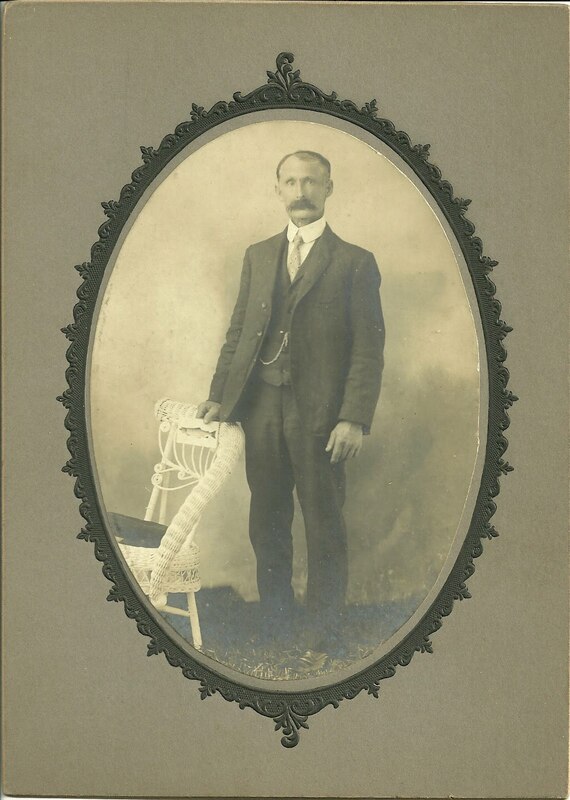 I'll be working through some Pendleton genealogy over the next few days and will post my findings on the Downeast Maine & Maritime Canada Genealogy website.